The head of the Anglican Church described his views on the conflicts between Christianity and Islam in a letter to Muslim leaders. The 17-page document is a reply to a letter by Islamic scholars published last year and intends to promote closer dialogue between the two religions, reports the Daily Telegraph. Williams said both religions were often drawn away from their peaceful origins and used by empire builders. “Despite Jesus' words in John's gospel, Christianity has been promoted at the point of the sword and legally supported by extreme sanctions; despite the Koranic axiom, Islam has been supported in the same way, with extreme penalties for abandoning it, and civil disabilities for those outside the faith,” he said. No world religion’s history is exempt from such temptation, he added. Williams called to break the cycle of violence and retribution and “show the world that faith and faith alone can truly ground a commitment to peace”. The comments come just months after Williams was forced to clarify his words that some parts of sharia Islamic law will “unavoidably” be adopted in British society. 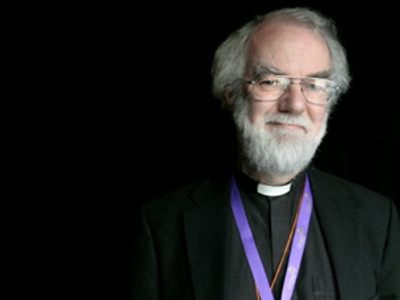 His remark in February drew widespread criticism from politicians and fellow clergymen.